The best discount Axle OEM Parts. 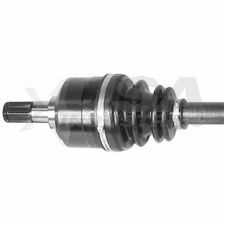 Our inventory is always being updated, searh for Axle parts for the following makes. Axles are either affixed to the wheel or the framework of the vehicle and allow the wheels to rotate. They provide stabilization and support for steering. When should you replace an Axle? If you hear a grinding or clicking noise while making a turn in your vehicle, it is likely that the joints in your axle have become loose and it is only a matter of time until they grind themselves down and you will need to replace them. You will hear a loud clicking noise when you make a turn while driving your vehicle.